Can you identify the other hockey player in this photograph? 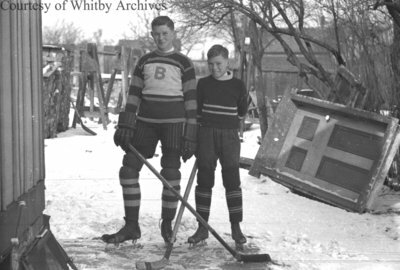 A black and white negative of Ben Lynde (left) and his brother posing in their hockey uniforms and equipment outside. Lynde Brothers, February 1938, Marjorie Ruddy. Whitby Archives A2013_040_736C.